This book is a wonderful overview of how Walt Disney began his business with a simple cartoon mouse and how it developed into the massive global company it is today. Focusing on the business savvy and the innovative concepts that built the Disney empire, this story explains how a business needs investors, branding, and loyal customers to succeed, but that it is the magic in the details that builds a heritage of excellence. I really enjoyed reading this book! It is written for young children, so many business concepts that a child wouldn’t know like “Revenue,” Mortgage,” or “Board of Directors” are explained with definitions for the bigger words. There are also “Fun Fact” boxes within the text that give extra tidbits of information about Walt Disney and his company. I especially liked the emphasis on family, heritage, and excellence which the Disney company is known for. 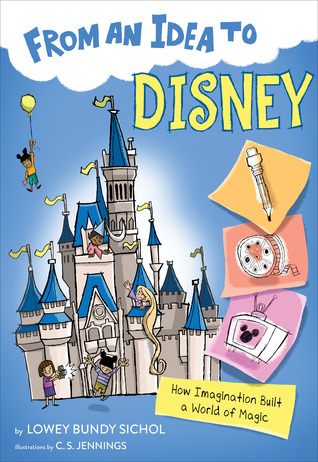 I think the author did a good job of giving a sweeping overview of the history of Disney with a few interesting details added in, but still keeping the main story fairly simple and easy to follow. The book doesn’t get bogged down in too many details, but focuses on the bigger picture; and the details that ARE added in are obviously carefully chosen to reinforce the main themes of the story. I would recommend this book to any child ages 7-12. It’s fun and interesting, and kept my attention! I also liked the funny illustrations and drawings included on every page! Disclaimer: I received a copy of this book from the publisher via Media Masters Publicity in exchange for a free and honest review. All the opinions stated here are my own true thoughts, and are not influenced by anyone.